What a last-minute change in plans taught me about traveling as a solo woman. I would like to think I’m the kind of person who’s understanding when it comes to people canceling plans at the last minute. But when my friend called me two days before our trip to Singapore and told me she couldn’t go for unexpected reasons, it was difficult for me to remain calm and collected in the moment. My first thought was to immediately cancel because if I didn’t, that meant I would be going alone, and I believed that wasn’t even an option. But in the end, I changed my mind — and I'm so glad I did. I learned while there are real dangers to be aware of, you shouldn't let fear stop you from being a solo female traveler. What helped me reach that decision was knowing, technically, I wasn’t going to be by myself the entire time. I chose Singapore because my best friend lives there — even though I knew I'd have to spend the majority of my time there alone. I thought traveling solo wasn’t even a choice for me because I’m a woman, and being a female alone in a foreign country meant putting myself in danger. Or so I’ve been told. I ended up having an eye-opening, enlightening experience, and I would have never reached a new level of independence if I didn’t unintentionally go alone. 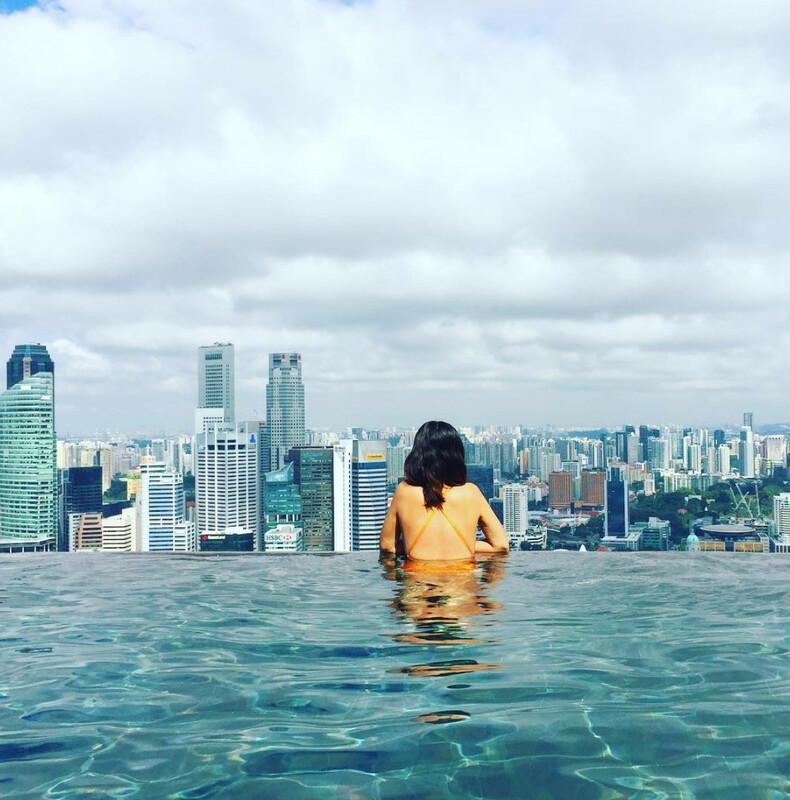 In Singapore, I realized how liberating it was to have the entire day to myself — to do whatever I wanted. I visited three museums in one day, strolled through botanic gardens, indulged in the local food, and spent hours at one of the world’s largest aquariums. I checked off everything on my must-see list and felt fulfilled by the end of the trip. I also challenged myself to become more autonomous through learning how the city’s public transportation operates, not panicking when I got lost, and being present in each moment. I was alone. And it was more than OK. But I didn’t go unprepared. Thanks to my friend, I had a Google Doc of tourist locations, favorite local spots, and can’t-miss street food vendors. I bought a SIM card at the airport to stay in touch with family back home, and made sure the Airbnb I was staying at was close to the city center. I navigated around the city in Grabs (their version of Uber), the metro, local buses, and good old-fashioned walking. I would always screenshot transportation directions on my phone and carry a battery charger just in case. 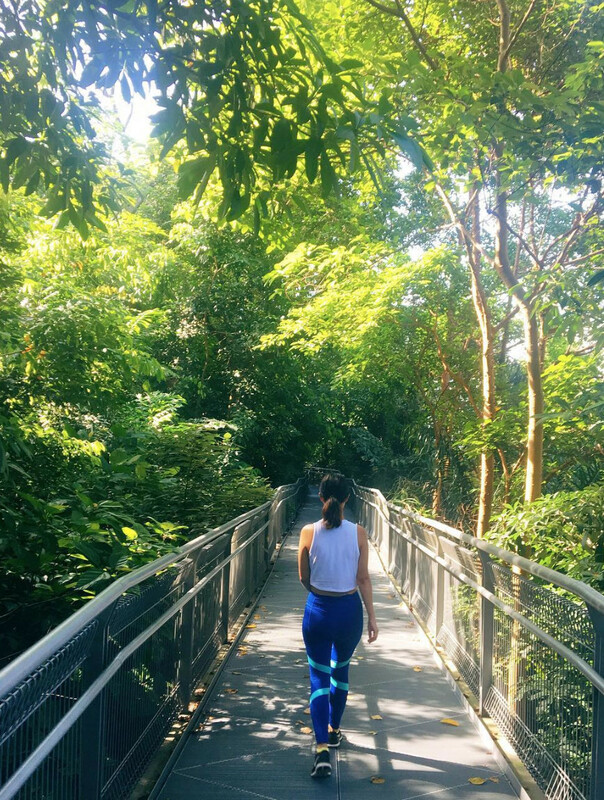 Singapore is known for its safe environment, so I never felt uneasy walking around by myself — but that doesn’t mean I wasn’t vigilant. And that’s what I’ve noticed: No matter where I am, I still feel — as most women do — that I have to keep my guard up simply because of my gender. Which is why I was so hesitant to travel alone in the first place. Although I’m still cautious, my mentality has since changed — and I’m not the only woman with solo travel on the mind. According to a 2018 study conducted by Hostelworld, the platform saw a 45 percent increase in bookings by women traveling alone from 2015 to 2017. Conversely, the site also noted the popularity in solo female travelers was higher than the 40 percent increase of solo male travelers. 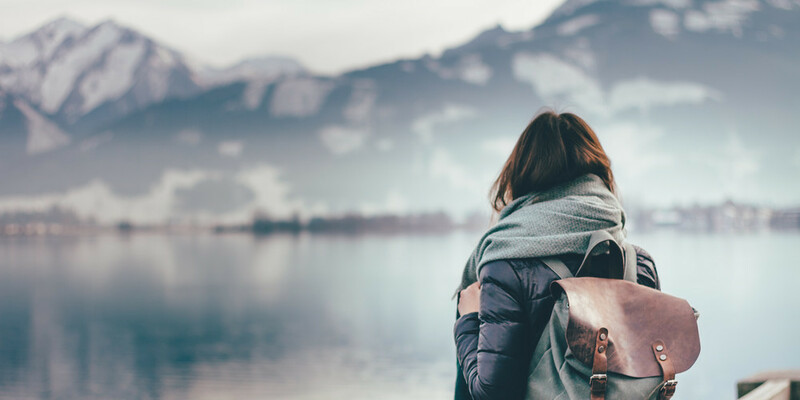 One of the reasons why there’s been a rise in women opting to travel by themselves could be the positive impact solo trips can have on a person. Thanks to technology, traveling alone in an unknown area has never been easier with apps such Google Maps, Yelp, and even Instagram. And there have been a number of inspiring women who have shared their stories and given advice on how to go about seeing the world by yourself. I realized how liberating it was to have the entire day to myself — to do whatever I wanted. [I have] a desire to help change narratives of what women can and can’t do around the world. And while Miranda and Nabongo’s stories are encouraging, it’s also essential to be aware of the potential dangers a woman who’s traveling alone can face. A New York Times article, “Adventurous, Alone, Attacked,” detailed the violent crimes solo women experience while traveling abroad. The victims’ stories are not only important, but also show there is a risk to being unaccompanied in a foreign place — which is why it’s necessary to be prepared and informed to protect yourself. And after the article was published, a number of readers responded with suggestions on how to keep yourself safe. Some of their tips included: learning to defend yourself, taking group tours, using apps to let women flag incidents and areas of danger, and knowing your destination well. You can also find more advice on the U.S. Department of State’s official website, offering information on everything from knowing the location of the closest U.S. embassy or consulate in your destination to understanding the local laws in different foreign countries. With access to informative material, women should feel confident embarking on their travels — but always remain aware of their surroundings. The truth is, there can be dangerous situations in any part of the world, whether that’s right outside your house or in another country. And there’s no debating that traveling alone as a woman is riskier than traveling alone as a man. But that shouldn’t stop you. I learned solo travel can enrich your life in so many ways, increase your self-reliance, and allow you to get lost in the culture surrounding you. As long as you’ve done your research and prepare before your trip, you shouldn’t be afraid of seeing the world by yourself. And if a friend ever backs out of your vacation plans, be sure to thank them for the transformative adventures that await you.